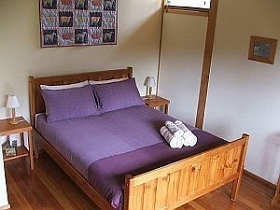 Southern Forest Accommodation offers comfortable and quiet forest accommodation in the coastal town of Southport in Tasmania's Far South, 100kms south of Hobart. 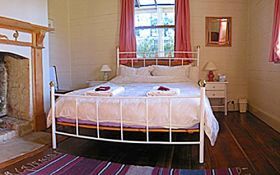 Only minutes from beautiful white sandy beaches and a short drive from the Southwest Wilderness World Heritage Area, a bushwalkers haven. 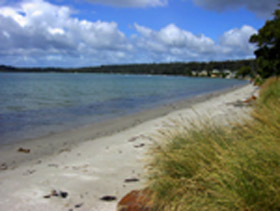 Southport is the perfect base from which to explore the many attractions of the area like Hastings Caves, Ida Bay Railway and Cockle Creek with the walk to Southcape Bay. 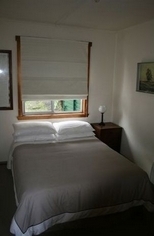 Offering comfortable and quiet forest accommodation in the coastal town of Southport, the Southern Forest Accommodation is the perfect base from which to explore the many attractions of the area. 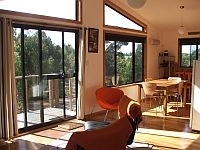 B&B Bed And Breakfast Accommodation - Overlooking native forest. Enjoy a weekend getaway or highlight of your Tasmanian tour in the Far South, a true wilderness experience. 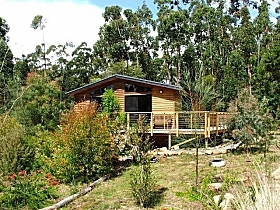 Southern Forest Cottage is a self-contained two bedroom Celery Top Pine timber cottage in a peaceful forest setting. 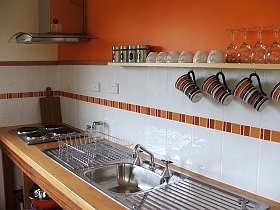 It is suitable for couples, or families and friends travelling together. 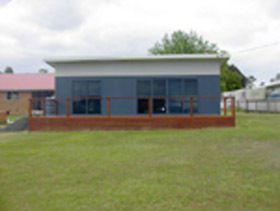 It features a large deck, open plan living with wood heater and a well equipped kitchen. 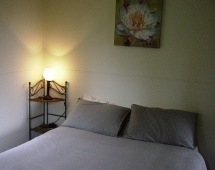 We can accommodate six guests in two bedrooms (1 room with a queensize bed and 1 room with a queensize and a bunk bed). There is one bathroom. 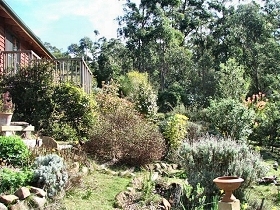 The forest and native garden setting provides home for many birds, lizards, pademelons and other wildlife and ensures privacy in a relaxing environment. 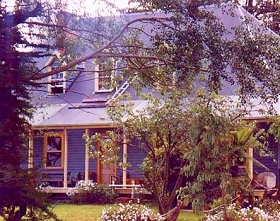 Southern Forest B&B offers traditional hosted accommodation in a separate guest wing. 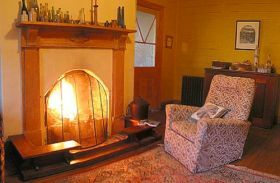 There are three bedrooms with 2 private bathrooms, sunny guest deck, CD player, inspiring library and games. 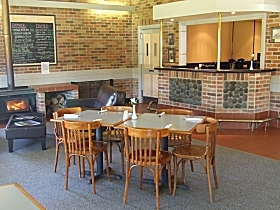 Be surprised with a breakfast that offers you homegrown produce, free range eggs, Tasmanian Salmon, tasty Birchermuesli with local fruit and berries in season and homemade bread and jams. Enjoy your afternoon tea (with homemade goodies) on the guest deck amongst the trees and watch the birds. You may even spot Pademelons, Possums and Bandicoots at dusk. Southport is a lovely small fishing town and has some great beaches and walking tracks along the seashore. There is some fantastic scenery with great views of Adamsons Peak and the mountains of the Southwest Wilderness. Not far away are the stunning Hastings Caves and Thermal Pool. 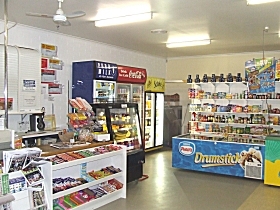 The Ida Bay railway takes you on a trip through bushland to the beautiful beach of Deep Hole. From there you can hike to the Southport Lagoon conservation area. 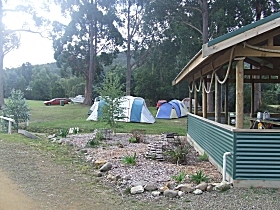 This is a bushwalkers haven with numerous walks ranging from easy to strenuous. 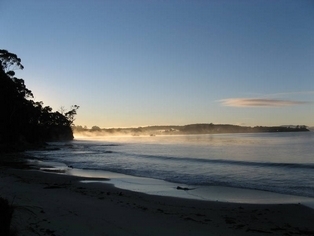 A trip to historic Recherche Bay and Cockle Creek rewards nature lovers. 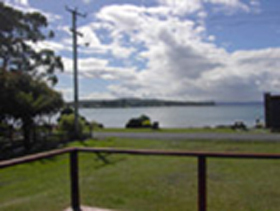 Beautiful bays with cristal clear water and great views. At the end of the road begins the Southcoast Track into the Wilderness. The 4 hr return day walk to South Cape Bay is a highlight. Steve and Barbara, your hosts are more than happy to give you heaps of local information. We are looking forward to welcome you as our guests. 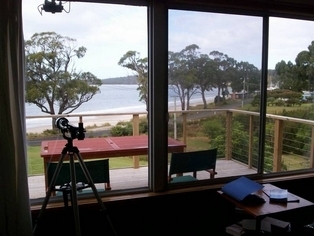 Summertime Cottage Beach Accommodation - Southport - Tasmania Just a short drive from Hobart to a pristine beach paradise. 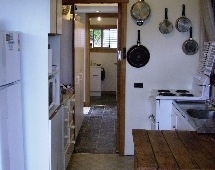 This charming beachy cottage is ideal for romantic getaways, family holidays, or for group bookings. 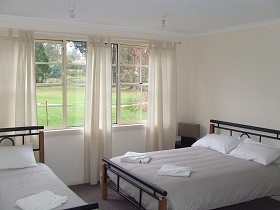 Southport Hotel and Caravan Park offers self-contained accommodation and camp sites at Southport, southern Tasmania. 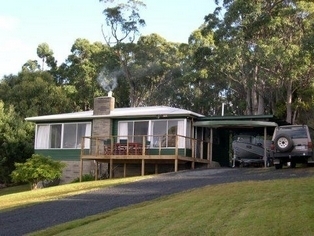 The Jetty House is an historic home situated bayside in beautiful Southport south of Hobart. Travelling time is a one and a half hour drive south of the capital.